The way we organize our lives defines who we are. If we are constantly running around unsatisfied with results and overwhelmed by infinite tasks, we are probably not living life at its full potential. Having a structured mind and a well-defined path takes away so many of our daily worries. We know what we aim for, we respect our goals, and we constantly thrive to succeed. On the other hand, shaping our entire futures meticulously and building exhaustive life plans can be too energy consuming. We must leave room for the unexpected, for spontaneous actions, and for on the spot decisions. A balance between organization and spontaneity can be challenging to achieve. However, it is not impossible. In order to find it, we must study our current behavior and improve it in a way or another. Learning from our mistakes is crucial in the process of developing new qualities. Let’s see what mistakes you can learn from today, how you can improve your life, increase your productivity, and find that equilibrium. 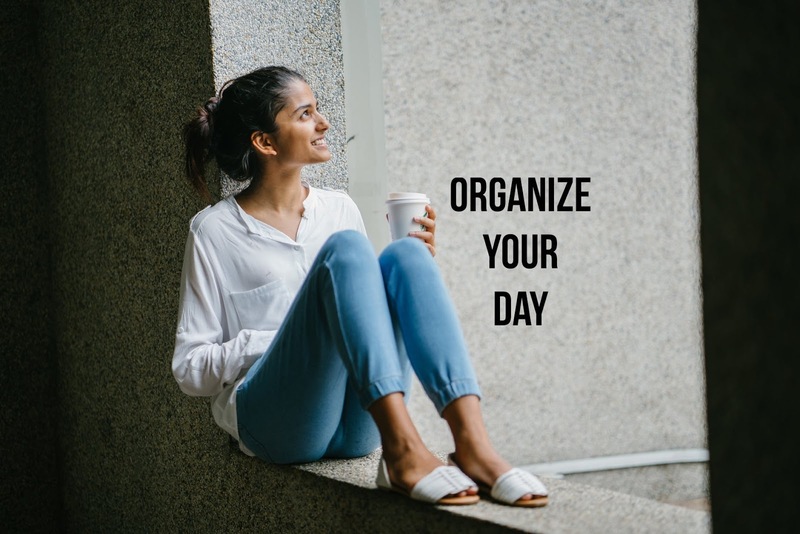 What should you avoid when organizing your day? · Before going to bed, brainstorm ideas – what are the most essential tasks that you must accomplish tomorrow? What are your goals for the day? And more importantly, why are those your main objectives? 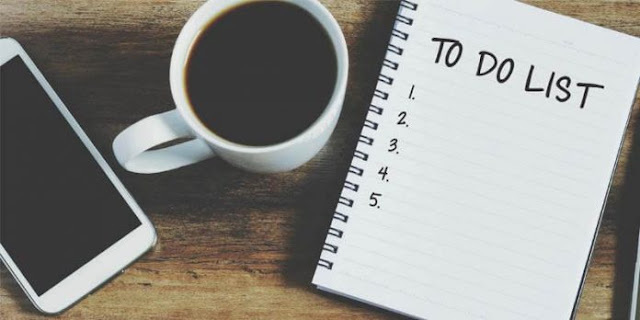 · Make a to-do list. Write down all the activities that you are going to pursue. Next to each one of them, write down the reasons why. That way you’ll stay motivated. · Plan your time. Design a certain period of time for each activity. If, for instance, you must pick up groceries at 2 PM, estimate how much time that activity is going to take, and write it down. Example: “picking up groceries – 2 PM to 3:30 PM.” If you will exceed the time limit, you’ll leave more time for this specific activity in the future. Learn from your mistakes! As I mentioned before, not all things are going to work exactly the way you planned. There’s no point in becoming frustrated over things you can’t control. You must accept that there will be times when the unexpected will interrupt your plans. For example, what if your car breaks down in the middle of the highway? You did not plan for that, you did not see it coming, but it happened. Take things as they are, and avoid complaining. Instead, concentrate on fixing the problem. · Identify what the cause of the problem is – why did that specific thing go wrong? · Define the problem – what was the exact problem? · Figure out a plan – example: I got a flat tire, OK. How can I fix it? Where is the closest repair shop? Who should I call? · Take action – Let’s go fix the problem! Have you ever felt like nothing really matters anymore? You set goals, follow your path, but don’t really care about results? Accomplishments don’t mean too much, failing doesn’t really bother you. If that is the case, you must change something in your life. Being satisfied with who you are and what you have is great, but wanting to excel is never a bad thing. Constant dissatisfaction might be a sign of something else missing in your life. · Think about your friends – do they make you happy? Are you satisfied with their presence? Have you ever felt like you need more from your relationship with them? If so, what can you do about it? · Think about your partner – is everything going well with you two? Are there any problems that need to be fixed? · But most importantly, think about yourself – are you satisfied with who you are? Do you make enough time for yourself? Do you care about yourself enough? Answering these questions might provide the right answers for the proper change. Take them into consideration, and understand where that level of dissatisfaction and worthlessness comes from – it’s crucial to know yourself and know who you’re surrounded by in order to progress and stay productive. Buy a journal, and track your progress every single day! In order to stay organized, we need constant feedback. Therefore, write down your best results, and explain how you achieved them. Lay down your thoughts and feelings about the process as a whole. If you are proud of yourself for X accomplishments, write that down too. If you are unsatisfied with that Z result, ask yourself how you can improve. After analyzing yourself from all the aforementioned perspectives, draw the final conclusion: today, I learned that I must work on these qualities, while I am very proud of myself for accomplishing those tasks. Tracking your progress is essential for many reasons, and motivation is one of them. · Specific – your goals should be well-defined, and properly formulated. What exactly do you want? Be very specific! · Meaningful – what is the meaning behind it? Why do you want it? Why is that goal important to you? · Attainable – be realistic about it! You must be able to attain it in order to include it in your list. · Relevant – how does your goal have a long-lasting impact on your life? · Trackable – constant feedback is necessary, so choose goals that are easily trackable and verifiable. Be SMART when setting your goals. Motivation can easily shift moods, so don’t forget to be lenient with yourself when you feel the need to. Not caring enough about your personal life will drive you insane. Organizational skills are easy to develop once you are fully satisfied with your life. Make time for yourself daily! Whether it’s five, ten, or fifteen minutes, you must relax, breathe, and release that tension within your body. You are not a robot, so don’t act like one! · Take time to meditate. You can meditate even when you are at work. Lock your door, play some symphonic music, close your eyes, and breathe in, breathe out. Stop thinking about your daily worries. Set an alarm for 15 minutes, and empty your mind. · Exercise. Wake up 15 minutes before the usual time, and go for a run. Taking care of your body is really important! You will feel refreshed and ready to start the day. · Create some art. If, on the other hand, you are more interested in arts and crafts, take half an hour per day to paint, draw, or darn – whatever relaxes you. There’s much more to being organized than writing down long lists of tasks and duties. It’s not only about the actions that we take, it’s about our minds’ ability to deal with stressful, difficult situations as well. In order to accomplish our tasks and be at peace with our inner selves, we must be honest about our true feelings. Confronting the people whom we are in disagreement with increases assertiveness and builds self-confidence. Therefore, if there are any people you’d like to address something to, do it now. Don’t wait “for the perfect moment,” because there will be none. Express your concerns, make yourself heard, and become fully satisfied with who you are. Holding tight to certain ideas and ideals might influence your life negatively. Having strong opinions is great, but being inflexible will not lay the foundation to your success. In order to develop good organizational skills, you must realize that there are things that might change throughout the way. Stuff happens, situations occur, and you won’t be able to control them all. You can’t do everything on your own. And even if you could, would you really want to be unable to breathe throughout the day? Designate tasks to the right people, and don’t be afraid to ask for help if you need it. You family and friends will always be there, and I am sure that your colleagues will appreciate you for including them into your tasks. Teamwork makes the dream work! Developing good organizational skills means more than buying a planner and laying down tomorrow’s plans – it means considering the things that could go wrong, asking for help at the right time, confronting the people you disagree with, getting rid of distractions, tracking your progress, and being fully satisfied with your accomplishments. About Author: Julia Turner is an awesome writer. She is passionate about writing articles that’s why she loves her job. Doing what you love is her life motto. Also, she likes to share her skills with other people. How you can improve your life, increase your productivity, and find that equilibrium. Here is what you should avoid when organizing your day.